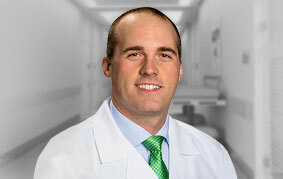 Guillaume D. Dumont, MD, is a board-certified orthopedic surgeon and sports medicine specialist. 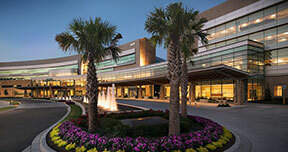 He specializes in the treatment of hip, shoulder, and knee injuries is a member of the clinical faculty at the University of South Carolina School of Medicine. Dr. Dumont’s is an expert in hip arthroscopy and the treatment of hip injuries in young, active individuals. His clinical research focuses on the improved understanding and treatment of conditions of the hip, including femoroacetabular impingement, labral injuries, gluteal tendon injuries, and hamstring injuries. He understands the challenges that many patients experience while seeking answers, diagnoses and treatments for their injured hip, and uses an individualized approach to ensure patients understand the injuries affecting their hip. 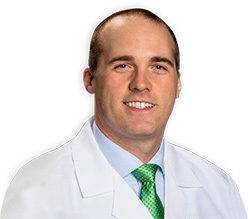 He serves as an orthopaedic consultant for hip injuries to various high school and collegiate athletic teams. Dr. Dumont also is a specialist in shoulder injuries and arthroscopic shoulder procedures. Following his orthopaedic surgery training in Dallas, TX, he completed a fellowship in Sports Medicine where he gained tremendous experience in minimally invasive shoulder procedures, in addition to studying advanced arthroscopic techniques with leaders and innovators in shoulder surgery in the French Alps. He continues to build on these experiences to improve the care of his patients. Dr. Dumont regularly teaches and presents research at regional, national and international orthopaedic surgery conferences. He is a member of the American Academy of Orthopaedic Surgeons (AAOS), the American Orthopaedic Society for Sports Medicine (AOSSM), the Arthroscopy Association of North America (AANA), and the International Society for Hip Arthroscopy (ISHA). University of Tennessee. Knoxville, TN. 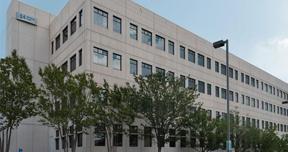 Emory University School of Medicine. Atlanta, GA.
Harvard Medical School / Massachusetts General Hospital. Boston, MA. Alps Surgery Institute. Annecy, France. Nashville Sports Medicine & Orthopaedic Center. Nashville, TN. Please click here to learn more about Dr. Dumont’s research interests and to see a full list of his scientific publications. If we are unable to answer your call immediately, please leave a message. Phone calls are returned each day on business days.